Generally speaking, Dreamworks’ thriving animation department has always been the poor relation to Pixar. The Shrek series became a parody of itself almost instantly and the Despicable Me movies are little more than empty minion calories. But then there’s How To Train Your Dragon, a gorgeous bit of animation with a snarky comedy streak, and a deeply moving core that turned out so well it was almost a shock that the Dreamworks logo played before it. Of course, the company swiftly put a sequel into production and while that theoretically should have turned into an empty cashgrab that spoiled the good will earned by the original film, the sequel turned out shockingly well. Sure, it’s a step down in quality from the last brilliant bit of blockbuster animation, but it’s still a very sweet, funny, and thrilling movie that should please kids and secretly please their parents even more. The last movie concluded with peace between the humans and dragons in this fantasy land. After Hiccup (Jay Baruchel) trained the wonderful dragon Toothless (which quite frankly ranks amongst the very best kids movie animals), all of his friends and family started riding their own dragons and it seemed as though there would be a happily ever after. Of course, the existence of a sequel guaranteed that it couldn’t possibly continue and so a new villain emerges, the dreadlocked Drago (Djimon Hounsou), an impossibly evil beast of a man who trained his own army of dragons to wipe out the rest of humanity. 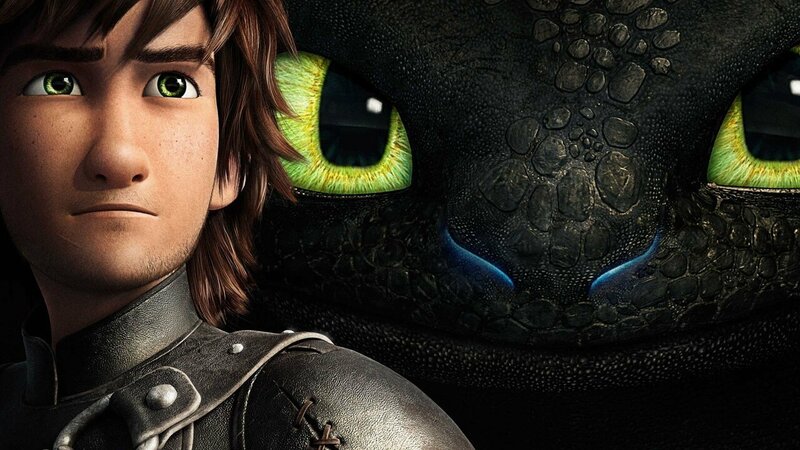 The good news is that Hiccup quickly discovers Drago’s plot. The even better news is that he also discovers his long lost mother (Cate Blanchett) who has been living amongst dragons and has an army of her own. So Hiccup is able to reunite his mother and father (Gerard Butler) along with a massive line up of dragon all-stars to take out Drago. All seems well until Drago unleashes his secret weapon, an absolutely massive alpha dragon who can control all other flying serpents in his presence. Whoo-boy, this is going to get messy. As a narrative engine, it’s pretty standard sequel stuff. A new threat has emerged that seems to erase all the good of the last movie requiring everyone to band together for one more round of personal growth. Nothing hugely original about that, but it gets the job done. As with the last movie, the most impressive aspect of the production is the animation. The world created here is so vivid, colourful, and lived-in that you’ll wish you could pick up a game controller and explore it for hours. The action scenes are visceral and endlessly exciting, filled with moments actually designed to take advantage of 3D (far to rare , you know, 3D movies these days). It’s one of the rare CGI family fantasies that works as an action movie, filled with sequences that more than earn the price of admission and in at least one scene can even be described as genuinely shocking. The dragons are wonderfully designed and animated, each feeling like a fully unique character in behaviour and movement. In particular, Toothless stands as one of the most emotive and captivating animal characters ever created in CGI. Without any dialogue or anthropomorphized behavior, that little guy charms the pants off of audiences with a collection of ticks, movements, and expressions without a lick of anthropomorphized behaviour (he’s like a collection of your favourite memories of all your pets with a little fire-breathing hair-raising slipped in for good measure). To be honest the dragons in the film are so strong that they upstage the humans at every turn. Djimon Hounsou snarls his way through a one-note villain role that makes little impact, while the supporting comedy players like Craig Ferguson and Jonah Hill who helped make the last movie so memorable barely even register here. The only human plot given enough screen time to generate much connection is the relationship between Hiccup, his estranged mother, and his father. Admittedly, it’s a strong emotional core to the movie and aided immeasurably by Blanchett’s performance, but still this time the movie is all about the dragons. Fortunately, that’s not really a problem. 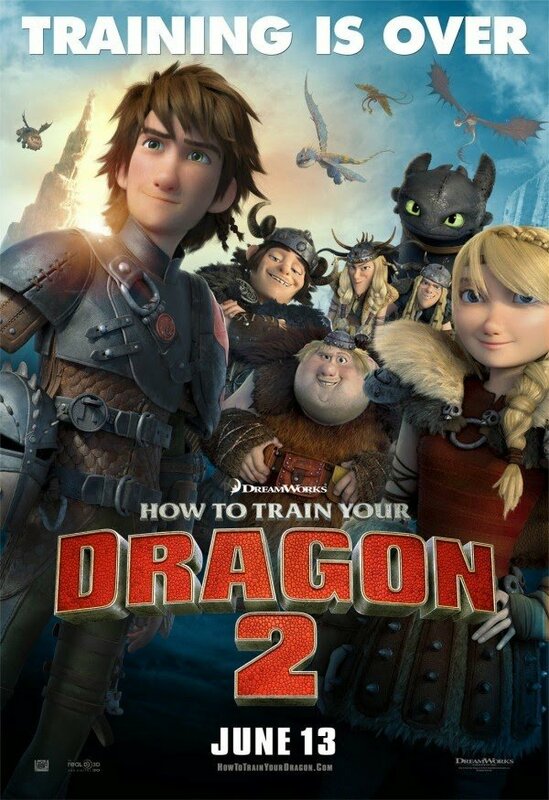 The laughs might have dipped down in this sequel, but the heart, action, excitement, and dragon-loving good times pick up the slack. The movie might not resonant as well or be as quotable a movie as How To Train Your Dragon 1, but it is still a more than a worthy follow up designed to get butts in seats, thrill them, move them, and send them home happy. You know, like blockbusters are supposed to do. As with the last movie, the most impressive aspect of the production is the animation. The world created here is so vivid, colorful, and lived-in that you’ll wish you could pick up a game controller and explore it for hours.